Thinking Pinoy: Duterte-Tugade's NCR Cable Cars: Will they work? Duterte-Tugade's NCR Cable Cars: Will they work? In an interview with Karen Davila on ANC’s Headstart, incoming DOTC chief Art Tugade said he’s in talks with a cable car manufacturer about the possibility of installing cable cars to ease Manila Traffic. Tugade said he wants to mimic Bolivia’s approach, but on a more massive scale. Tugade said, “Yung cable cars pinag-aaralan definitely... Ito ho, hinihiram ko 'yung Bolivia experience kung saan mayroong mga cable car… Uumpishan mo muna 'yan sa area ng Pasig, then EDSA, ito 'yung mga gondola na may 35-passenger capacity.” [GMA]. What is a cable car and what is the “Bolivia Experience”? Is the Bolivian cable car system successful? Is this cable car system applicable to NCR’s situation? Let ThinkingPinoy answer those questions one by one. Specifically, Tugade was referring to aerial cable cars. This distinction is important as many of us are more familiar with San Francisco’s street-level cable cars. 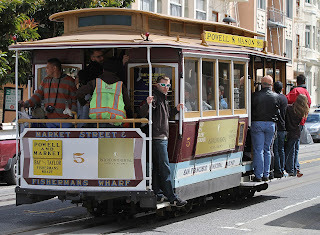 The Antiquated San Francisco Cable Car System. This is what most of us are familiar with, but this isn't what Tugade was talking about. Hindi yan, mga ate. An aerial cable car is an aerial lift that uses one or two stationary ropes for support and another rope for propulsion [Dale 2010]. Also known as téléphériques (French), Seilbahnen (German), and telefricos (Spanish), Aerial tramways are commonly found in ski resorts. They have, however, been adapted for use in public transport. 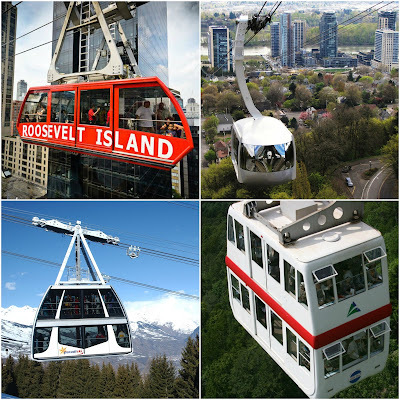 CLOCKWISE FROM TOP-LEFT: Notable examples include New York City’s Roosevelt Island Tramway, the Oregon’s Portland Aerial Tram, the Shintohataka Ropeway in Mt. Hotakadake in Japan’s Chūbu-Sangaku National Park, and the Vanoise Express of the French Alps in Bellentre, France. More specifically, Tugade mentioned Bolivia's cable car system, referring to it as the "Bolivia Experience". Launched in 2014, Mi Teleférico is Bolivia's aerial cable car urban transit system. The US$235 million (₱11 billion) gondola lift metro system is divided into three lines: Red, Yellow, and Green, corresponding to the color's of Bolivia's flag. Manufactured by the Austrian-Swiss firm Doppelmayr Garaventa, Mi Teleférico three lines has a total of 443 cable cars (gondolas) and ten stations, with gondolas passing stations at a rate of one gondola per 12 seconds. 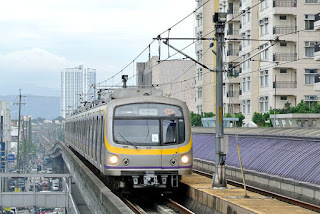 Each line can transport up to 6,000 passengers per hour (pph) [Gob.bo], so that the total maximum ridership is 306,000 (6000 pph per line X 17 hrs X 3 lines). Each car can carry up to 10 passengers, with tickets costing three bolivianos ($0.45; ₱21) [BBC]. A resounding success, Mi Teleférico connects La Paz's prosperous city center to the highland communities where poor indigenous Aymara people live. 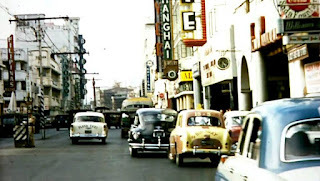 For decades, the only available link was a highway that increasingly become congested, noisy, and polluted. Upon its launch, Mi Teleférico reduced travel time from the Aymara highlands to the city center by 50 to 70 percent [Guardian]. Six new lines will be added on top of the three existing lines. A smashing success [GP], the Bolivian Government decided to add six additional lines to the existing three-line system [Gob.bo]. Mi Teleférico clearly works for Bolivia. The question, however, is the same idea is applicable to the National Capital Region (NCR). First, let's talk about costs. 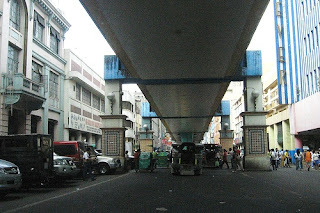 Let's compare Mi Teleférico with the 13-km Recto-Santolan LRT Line 2 Phase 1, launched in 2003 at a cost of ₱ 9.76 billion (US$228 million) [ABSCBN]. LRT Line 2 operates 17 hours per day [LRTA] and carries up to 500,000 passengers daily, with each train passing through stations at a rate of 1 train per 5-10 minutes. Due to inflation, US$228 million in 2003 is roughly equivalent to US$ 293 million in 2014. Mi Teleférico is 20% cheaper to build than LRT Line 2, but the latter can carry 60 percent more passengers. This is possibly why incoming DOTC Sec. 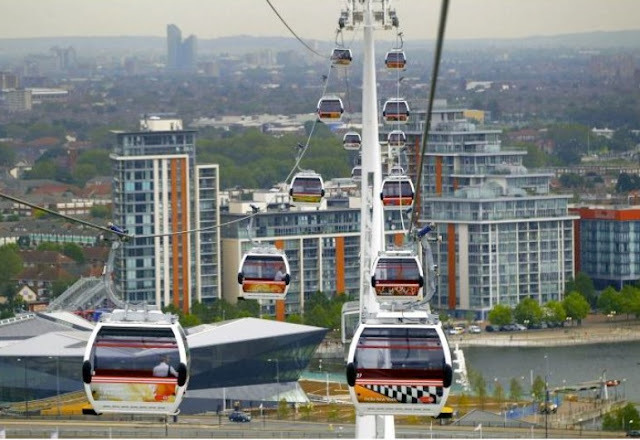 Art Tugade eyes 35-seater gondolas, similar to New York's Roosevelt Island Tramway, instead of Bolivia's 10-seaters. Increased seating, however, implies that each gondola will take longer to fill, potentially decreasing the number of gondolas passing through each station per second. Gondolas will be also be bigger and heavier, potentially requiring a more durable (and thus, more costly) system. This is probably a focus of prospective studies by the incoming Duterte administration. But then, there's more to it than just cost. Second, let's talk about sustainability. Manila's gondolas can be made small enough so that solar panels, installed on gondola rooftops, can be used to power doors and lights, just like Mi Teleférico [LATimes]. This allows gondolas to work more quietly than trains, reduce the potential burden on NCR's energy grid, and reduce pollution. The solar panels can also be used to power in-gondola Wi-F, but that's a different story [TP: Telstra]. Third, let's talk about practicality. Noise emitted by cable cars are at 60 decibles (dB) while compared to about 80 dB for 70 kph light rail trains [Metro]. This is significant as the 20-dB difference means trains are FOUR TIMES louder gondolas. For example, 60 dB is roughly as loud as a restaurant conversation, while 80 dB is about as loud as diesel truck [IndustrialNoise]. This negligible noise levels of cable car systems potentially allow the Duterte Administration to build them above existing buildings and even over residential areas. This allows more direct (and thus, faster) routes. Gondolas are generally lighter than light rail train systems so the supporting columns have smaller footprints. Add low noise levels and this makes it easier for the government to secure right of way, something that is so difficult to obtain for light rail systems. For example, MRT-7, supposed to connect North Avenue with San Jose del Monte, was delayed for 7 years because of issues concerning right of way [Rap]. Fourth, let's talk about aesthetics. Fifth, let's talk about construction time. The Duterte-Tugade NCR cable car idea is very promising, and the most delightful aspect of it is the time it will take to completely roll it out. Aside from potentially easier acquisition of right of way and more potential sites for erecting the supporting pylons, the proposed NCR cable car system takes only 18 months to build [GT]. In light of NCR's cataclysmic traffic woes, this is great news. Juxtapose that to the 5 years or more that it took to build LRT Line 2. 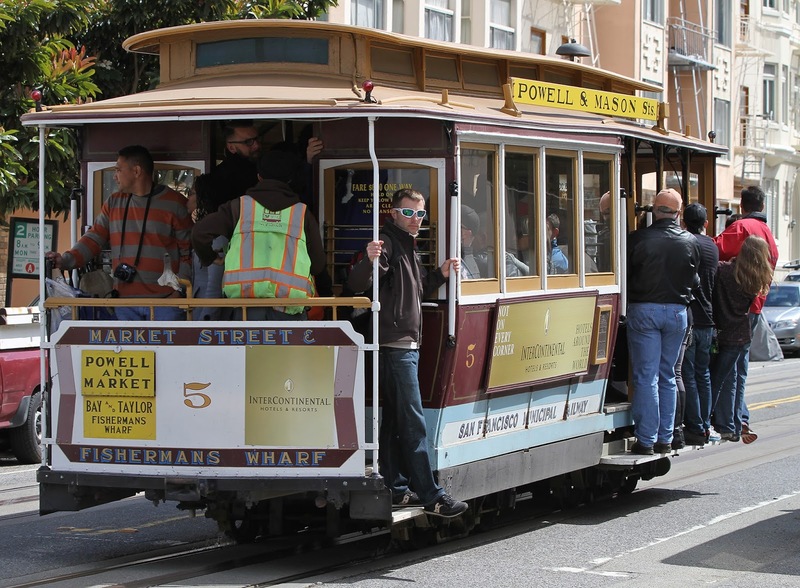 In as far as costs, cable cars are slightly more expensive to build than conventional above-ground light rail systems. However, they produce less noise, generate less pollution, and are drastically quicker to build. [ThinkingPinoy].